Author F. F. John invites you to Great Worlds - a universe of urban fantasy novels. Starting with the LEGIONBORN series, a story about Vaughn Prentiss a young man who discovers he's caught in the middle of the fight between good and evil. The devil wants him dead but Vaughn's determined to stay alive not just because he likes breathing but because his death would throw humanity into chaos. 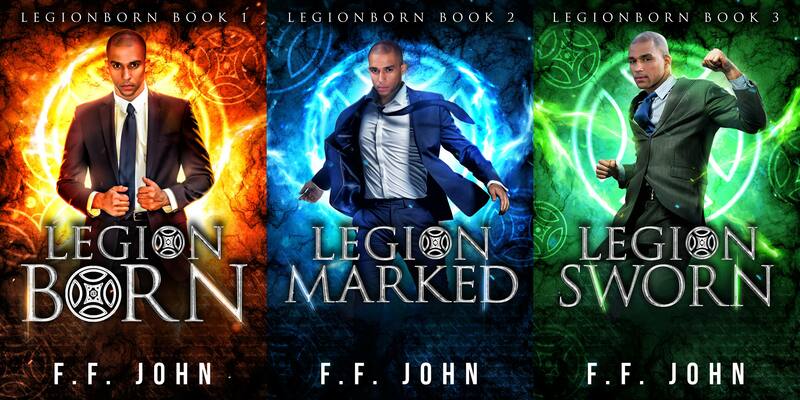 Sign up to receive a FREE LegionBorn e-book. Additionally, you'll gain access to exciting book giveaways, contests and much more. Look out for a message from author F. F. John in your mailbox.